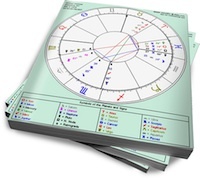 Leo’s sunshine will clash with Scorpio’s shadow in this difficult relationship. Both of these Fixed signs will resist any attempts to alter their respective behaviors. However, Leo’s loyalty and Scorpio’s craving for intimacy might just blend, if they can agree to respect each other’s very different natures. Sun in Leo loves the spotlight. His purpose is to be noticed, because he thrives on external recognition. Although it’s essential for his partner to provide some of that appreciation, the truth is that he’ll always need a wider audience. Sun in Leo will never be content to limit his grand gestures; he’ll flirt, strut and show off, every chance he gets. But with a supportive (and preferably, adoring) partner, he’ll limit his love to the one that matters most. Moon in Scorpio needs to keep it dark. She feels safest when she’s in control, and this involves ferreting out her lover’s secrets while keeping some of her own. Naked, emotional honesty will keep this passionately loyal Moon in a relationship. But her lover must be prepared to honor Moon in Scorpio’s extreme need for privacy. If he tries to push past her boundaries or challenge her control, her Shadow will emerge in the form of emotional attacks, jealousy and (sometimes) cruelty. Moon in Scorpio will feel threatened by Leo’s love affair with the public. Sun in Leo will be overwhelmed by the depths he encounters in Scorpio; he may be drawn by the promise of drama, but he’ll be repelled by her possessiveness and simmering rage. Her intensity will cast a pall over Leo’s desire to have fun, and he may end up moving on to a more welcoming partner. But if there are more harmonious connections in their charts, this couple’s Fixed natures could be the glue that holds them together. There will be some mighty conflicts. But if Scorpio can trust that Sun in Leo will always come home, and Leo can tolerate Moon in Scorpio’s intensity, they could form a lasting union. I’m curious as to how these two blend when it’s ONE person who has a Leo sun and a Scorpio moon. From what I’ve read, it’s a bit of an internal battle. Your ego wants recognition, but emotionally you want privacy.